Are you drooling over the garden catalogs arriving daily in your mail box? Are you longing to get out into the garden? 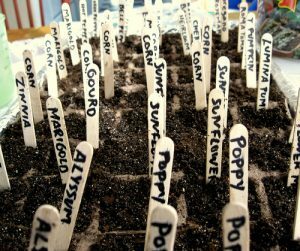 Get an early start on the season by growing your own transplants from seeds! Although this will not save you money—unless you want to grow a lot of one kind of plant—it will allow you to grow varieties not available in the garden center, or to use seeds you or friends have saved. Growing your own transplants will also give you a head start on growing plants like tomatoes that take too long from direct seeding in the garden to fruiting for our growing season. Choose what you want to grow, then use the Extension planting calendar for Western North Carolina (see Resources below) to figure out when you need to start the seeds to have the transplants ready to put in the ground at the right time. Study your seed packets for more precise information about how long before your planting date you should start each seed type and how deep to plant them. If you don’t have seed packets, Suzanne Ashworth’s book, Seed to Seed: Seed Saving Techniques for the Vegetable Grower is one useful book for seed-starting. Plan to use grow lights, as even a very sunny window doesn’t give enough light to grow strong plants. 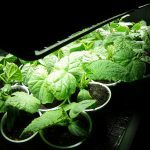 (See the blog Starting Seeds Indoors: Using Grow Lights.) 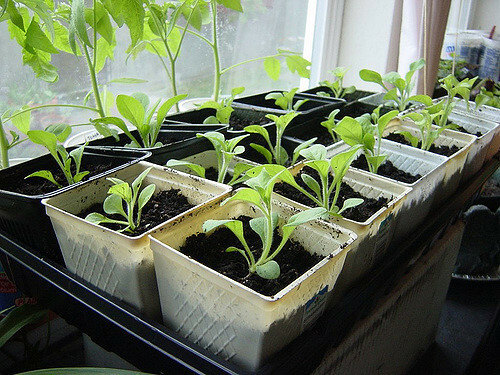 You can start your seeds in small cell packs, peat pots or cubes, or reuse clean plastics, such as individual yogurt containers. Make sure anything you use has holes for drainage. Start your seeds in a sterile commercial mix, that does NOT contain fertilizer. Plants don’t need fertilizer until they have their first true leaves! To grow the strongest plants, move seedlings to a pot one size larger once they are established and growing steadily. Before planting seedlings in the garden, they need “hardening off” to prepare them for tougher outdoor conditions. Don’t try to rush the season for tender plants or a late freeze may ruin all your hard work! A week or so before you’re ready to plant, start putting your seedlings outside in a shady place during the day. Be sure to keep them well-watered and out of strong winds. Bring them in at night. After a few days of this, if night temperatures are above 45°F, you can leave them out to get them used to more sun and gentle breezes. Ideally, put your plants in the ground on a cloudy day, or after the hottest part of the day. Water about an hour before planting and then again when they are in the ground. Make sure peat pots or cubes are thoroughly soaked and completely underground so they don’t wick water away from the plant. Article written by Joyce Weinberg, Extension Master Gardener Volunteer. This time of year, gardeners are often a bit itchy to get going! One way to partially alleviate that itch is to inventory your tools and review your gardening practices. 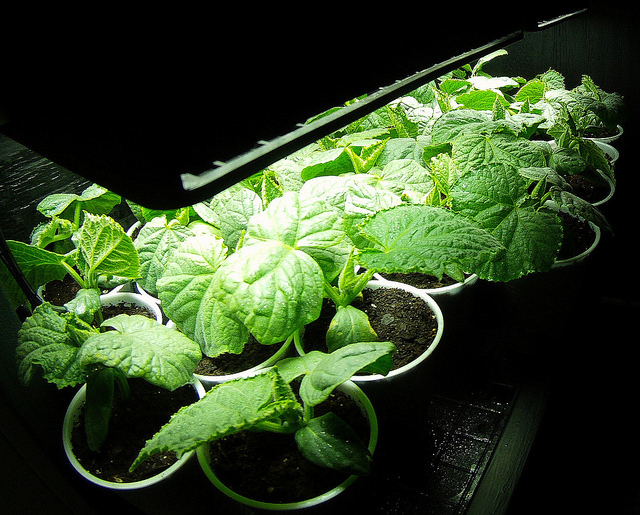 So, let’s look at seed-starting and review the basics of indoor lighting. Plants use almost the entire spectrum of the sun’s light, so once they germinate, seedlings are much affected by the kind of light they receive. Most important are the ultraviolet range at the low end of the spectrum and the infrared portion at the upper end. The blue part of the spectrum encourages leafy growth, while the red seems to affect stem growth, budding, or flowering. In other words, blue light serves as the seedlings’ nitrogen, and red as their phosphorus, affecting the development of flower and fruit production of the adult plant. Fluorescent light bulbs, unlike traditional incandescent bulbs, provide red and blue light without producing much heat. Fluorescent “grow lamps” provide an even better balance of light at both ends of the spectrum. Remember that fluorescent bulbs also produce some heat, so you need to adjust their height above the plants. You can establish the best distance by holding your hand above the plants and adjusting the bulb’s distance to a “just right” feel. Another thing to keep in mind: long fluorescent bulbs produce more light at their center than closer to the ends. If plants are to remain under lights for any length of time, switch them around to even out their exposure so they don’t get “leggy.” Consider more expensive LED lights if you intend to grow plants indoors long-term. Another cause of sickly seedlings is “damping off,” a fungal disease that will rot the lower stem and/or roots. Reduce the risk of disease by using fresh or sterilized potting soil, decontaminating pots and flats with a bleach solution, and careful watering. As with adult plants, when you water, don’t just sprinkle those plants, water thoroughly and then let the soil dry out a bit before watering again. The gorgeous pictures in the seed catalogs have us itching to start gardening but it is still winter outdoors. 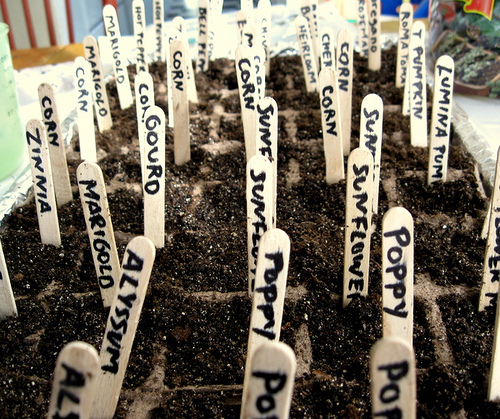 One project you can do now is start seeds indoors for your summer garden. 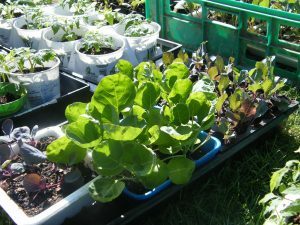 While some plants can be direct seeded in the garden (peas, beans, four o’clocks), those with a longer growing season than we can provide or long germination times (tomatoes, peppers) are best started ahead of time. If you only want a few plants, purchasing transplants is probably the way to go. 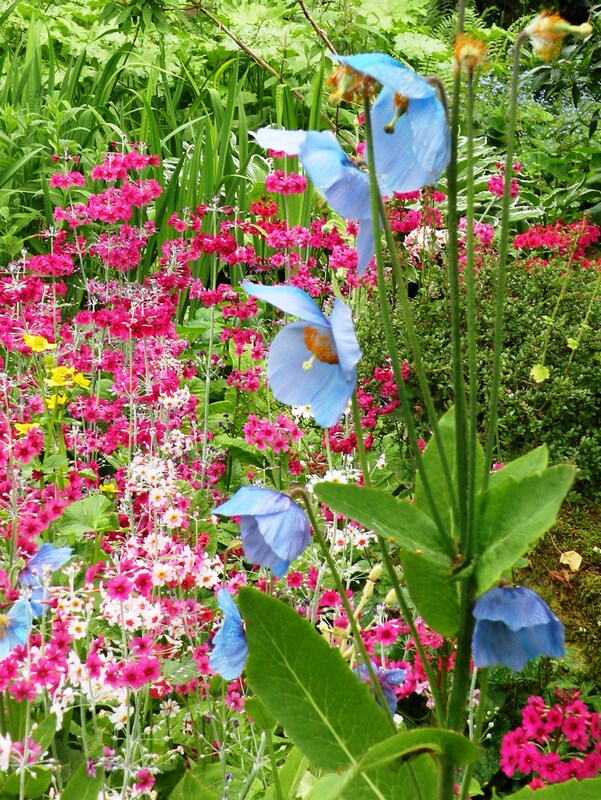 However, if you are planning a larger garden or want to try more unusual varieties, then it’s time to try starting your own seeds. 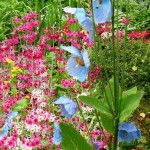 The first step is choosing what you want to plant and carefully reading the seed packet. This will tell you how many weeks before your outdoor planting date you need to start the seeds, about how long they will take to germinate, and what conditions they need. To start seeds you will need something to plant in – cell packs, peat pots or cubes, or recycled containers such as yogurt cups or egg cartons with drainage holes punched in the bottom. You will also a need a sterile growing medium. Do not use garden soil. Of course you will also need water and light. Unless you have a greenhouse or at least a greenhouse window you will probably need some kind of artificial light. Shop light fixtures hung from utility shelving work well. For strong plants, your seedlings should be transplanted at least once before planting outside. At least a week before your outdoor planting date, you should start hardening your plants off by putting them outside in the shade during the day and gradually increasing the time and light.